As of December 13, we are writers and editors awaiting payment from Nautilus magazine for a collective debt totalling $50,000. Some of us have been waiting to be paid for more than a year. Our numbers span many time zones, from London to New York, Colorado, Utah, California and Alaska. Hopes were high when Nautilus magazine was founded four years ago as “a New Yorker version of Scientific American” featuring well-researched and thoughtful articles on science and philosophy. * Created with a grant from the John Templeton Foundation, the publication went on to win top industry recognition including multiple National Magazine Awards and Webbies. But readers, investors, grantors and board members may not know that the publication owes many writers and some editors for print and web work published many months ago—in many cases over a year ago. Individually, we have each repeatedly contacted the publisher, John Steele, requesting payment for work that took days, weeks, or even months. At first, Steele promised to pay upon completion of a pending merger with the American Association for the Advancement of Science, or AAAS. We waited and waited some more. He began parcelling out partial payments to some of us, promising more once the merger came through. When the merger failed, he assured us we would get paid once this or that grant came in—which never seemed to happen. Some writers have been paid after threatening legal action. Most of us are awaiting even partial payment in amounts up to $11,000 for one individual, with the average about $2,500 owed each. Our signed contracts for print and web require payment 30 to 60 days after publication. Most of us are owed for stories that were contracted before Undark magazine (April 29, 2017) revealed that Nautilus was failing to pay writers. Indeed, Nautilus is in multiple breach of its contracts. Some of us have won prestigious awards under the Nautilus banner. For this we are grateful. But good journalism does not come free—and this is our livelihood. It is no secret that journalism faces difficult times. But we are disappointed and angry that Nautilus took advantage of writers and editors and that Steele allowed staffers (many of whom, we believe, were equally in the dark about the magazine’s finances) to commission articles he knew that Nautilus could not pay for. To collect, ten of us have joined the National Writers Union, a local union of the United Automobile Workers, to pursue a group non-payment grievance with legal action if necessary. Others of us, who cannot join the union for a variety of reasons, are signing this letter in solidarity. To the public and Nautilus funders, we ask for your support in holding the publication accountable. Tweet #paynautiluswriters. To all Nautilus contributors, join us at nwu@nwu.org. 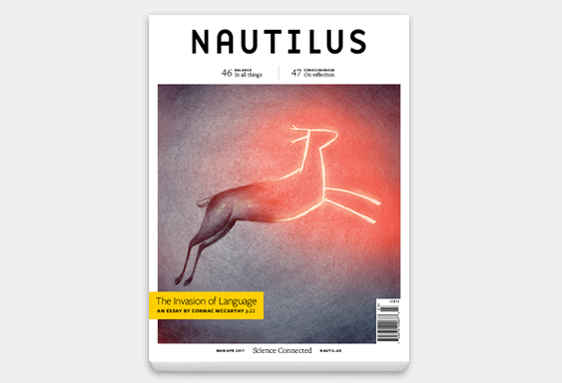 We did good work and Nautilus published it. By legal contract and by right, we deserve to be paid. *New York Times, May 6, 2013, quote from John Steele, founder, publisher and editorial director. **All signatories speak as individuals and do not represent these professional organizations.